Ahhhh, where to begin on the gratuitously long list of all that is wrong with the Wall of Sound iPod speaker. Let's break with convention and start with the price tag. Nearly $4,500 ($4,495 for those that don't believe in rounding). For an iPod speaker. Not thrown off by the high price tag due to a massive bank account that you don't mind spending on unnecessary junk? Continue reading. Let's break it down. 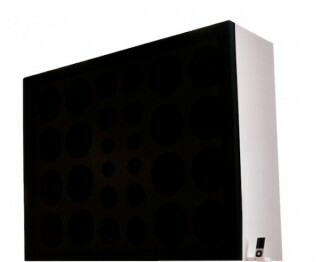 A $4,500 speaker designed to play poor-quality audio files from a $200 MP3 player. That price tag is pretty intimidating to any casual listener and really only the norm to a serious audiophile that is used to seeing speaker prices soar into the tens and even hundreds of thousands--an audiophile that doesn't want to play terrible-quality, compressed audio on said multi-thousand speaker. Sure, you could fill your iPod with lossless tracks and get close to CD quality, but who really does that? And those that do likely have a home stereo system rather than a big speaker-dock to connect to. The specs are equally baffling. The frequency range of 40 Hz to 20,000 kHz doesn't even cover the full range of human hearing, let alone offer deep bass, and the paltry max amplifier power of 125 watts doesn't seem like the ideal vehicle to make the statement that "music should be listened to loudly". And despite its audio deficiencies, the speaker still manages to weigh a ridiculous, anchor-like 225 pounds. Oh, and the monstrous beast is around 4 feet wide by 3 feet high. Not seeing a whole lot of positive 'wow' there. Perhaps the most glaring issue is that there appears to be only one speaker. So if you actually wanted to enjoy stereo, like most people that spend close to five Gs on audio equipment would, then you'd have to purchase $9,000 worth of Wall of Sound excess. With all that's wrong they got one thing right: "It looks frightening, and it is frightening." Frightening that there were actually enough buyers to sell out the first generation of Wall of Sound speakers. We hope that they only designed one. If you're not convinced that this thing belongs in the fiery depths, you can put in your pre-order here. Otherwise, spend the $50 on that cheap but ample iPod dock and enjoy iPod music the way it was meant to be enjoyed--on low-quality, tiny speakers. Twittamentary, A Social Media Experiment In Search Of "Character 141"
I'll stick with my direct drive turn table, McIntosh amps and Acustic Research speakers. My CD player does seem to sound better through my tube preamp, but mp3's sound - well, like mp3's. Fine for what they were developed for but not really for room filling audio in my humble opinion. A man after my own heart. I don't have quite that extensive of a system, but do enjoy quality home stereo--KEF tower speakers powered by a Yamaha receiver. I don't mind connecting my iPod for a party, where I need a good variety of music and quality audio isn't a priority, but other than that, iPods should be limited to cheap headphones and docks.